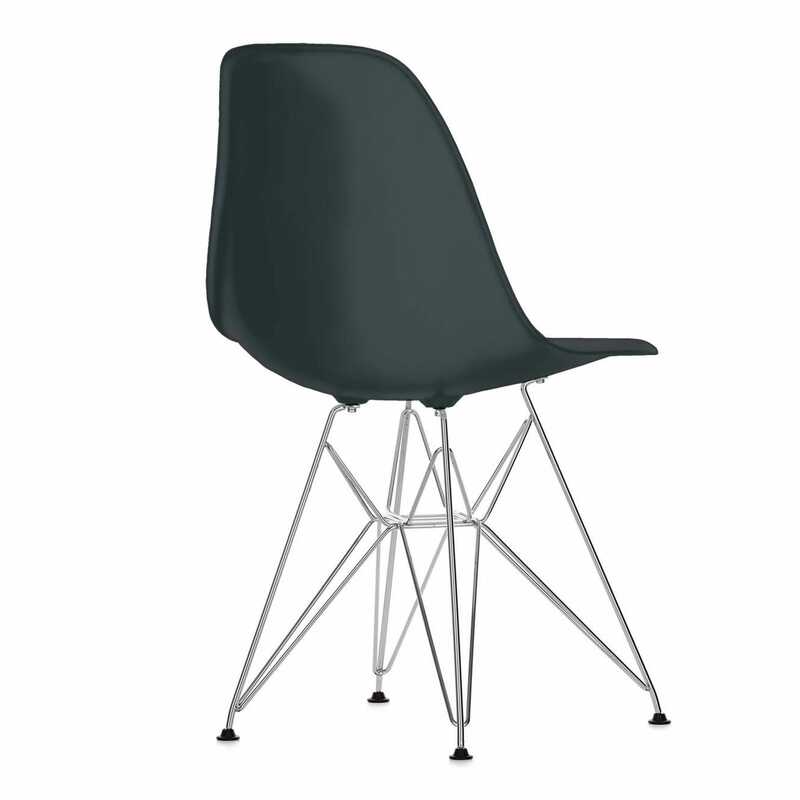 Epitomising the playful, functionality of mid-century American design, the DSR Chair by Charles and Ray Eames feels as fresh today as when it was first introduced over 60 years ago. A design to suit every home, this colourful, plastic moulded side chair is available in a range of tones that rest on an innovative chromed wire base. In a career that spanned over forty years, husband and wife duo Charles and Ray Eames developed countless ground-breaking pieces of furniture. Cementing their names as figureheads of America’s Mid-century Modern movement, the couple produced a prolific range of designs including the Eames Lounge Chair (1956), DSW Chair (1950) and Eames House (1949) all of which are still to this day heralded for their innovative use of new materials.